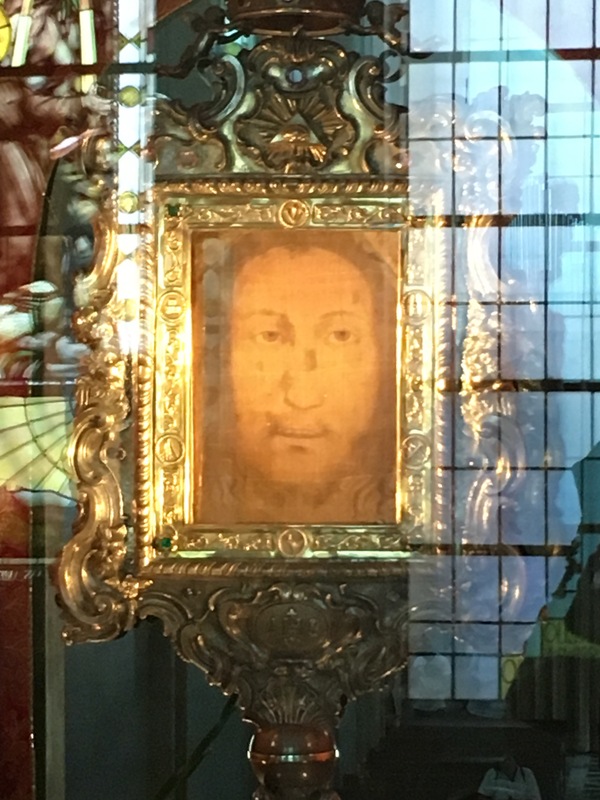 We thank our God, who, always filled with love and benevolence towards us, has gathered us as one family of faith for the solemn celebration of the Holy Face of Manoppello. 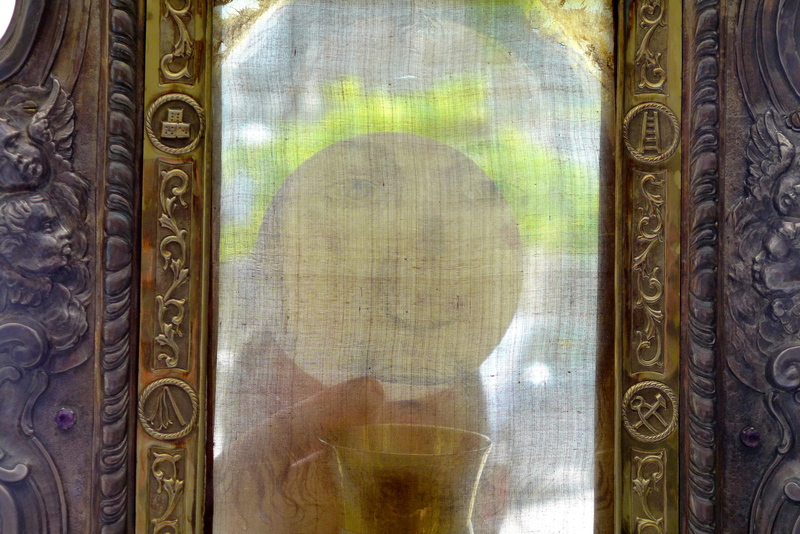 I bring you warm greetings and wishes of peace from the Philippines, where the devotion to the Holy Face is alive, vibrant and widespread. 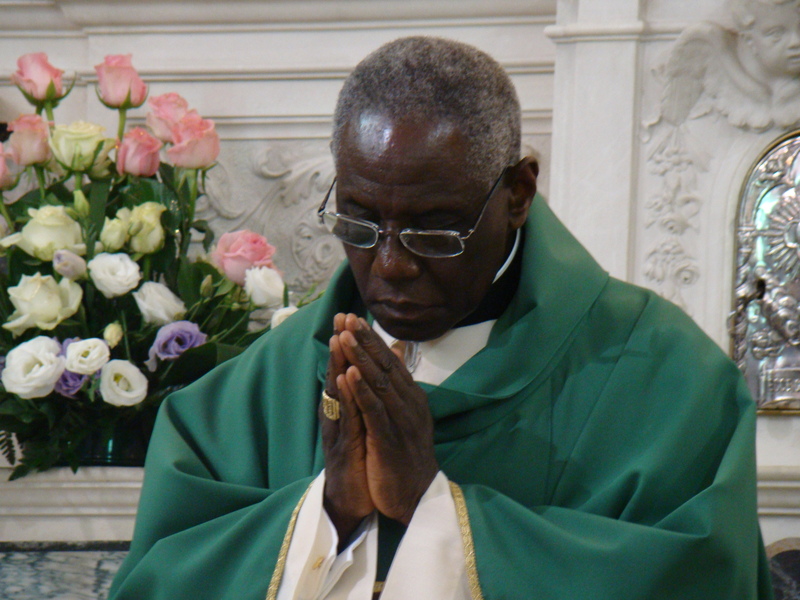 Celebrating the Eucharist with you on this sixth Sunday of Easter gives me great joy. 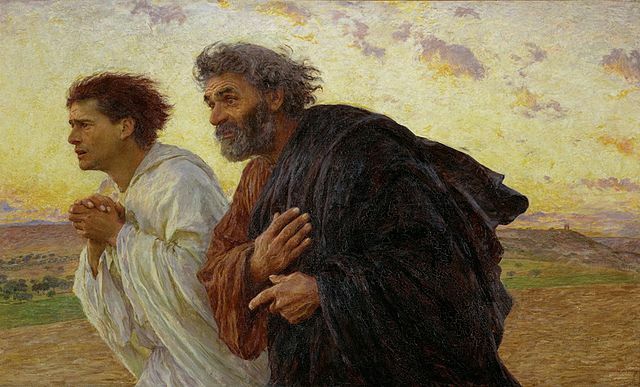 In the Gospel that we just listened to, Jesus told His disciples, “In a little while the world will no longer see Me, but you will see Me, because I live and you will live.” These words are fulfilled now in our assembly, in our hearing. 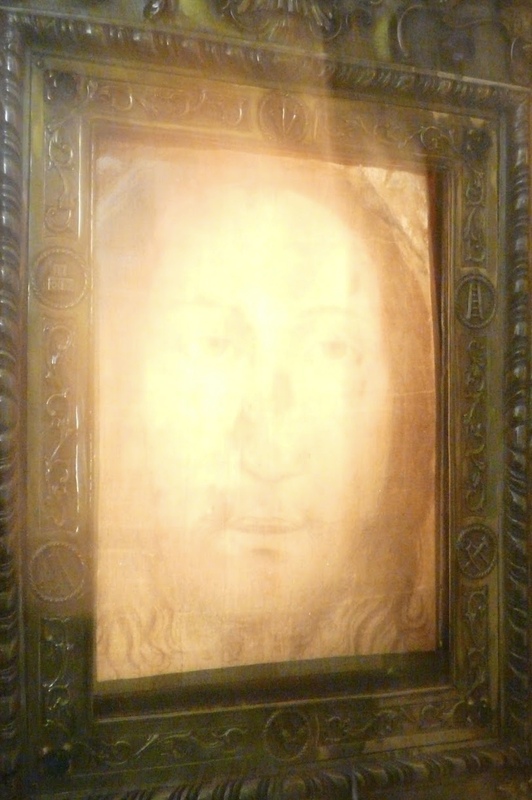 We see Jesus’ Face now. We can see Him because He is alive, He is in our midst now. And seeing His Face, we do not die, contrary to the fear of the people of old that seeing the Face of God would mean death for them. 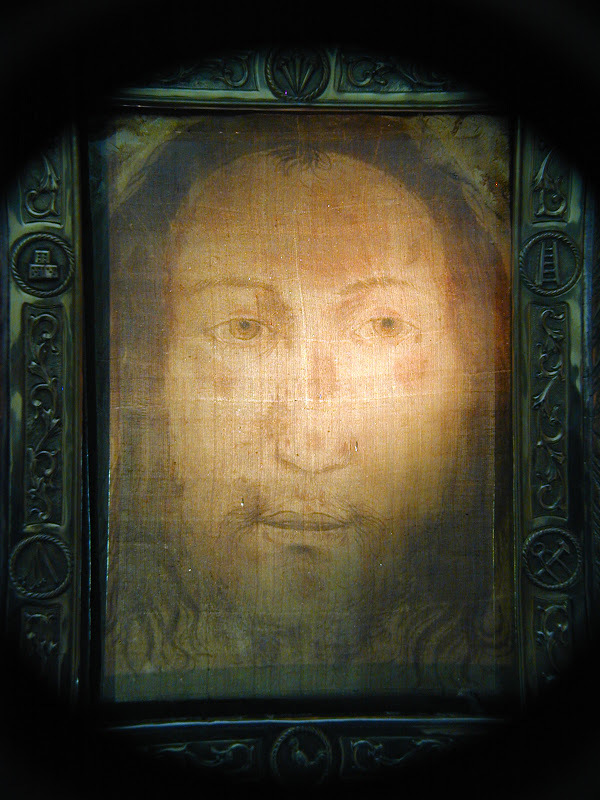 On the contrary, seeing Jesus’ Holy Face we draw the life and energy which comes from Him. This is a profound blessing granted to us, now. This gives us a foretaste of eternal life, where we hope to behold the Face of God in eternal contemplation and adoration. Seeing Jesus, we live! 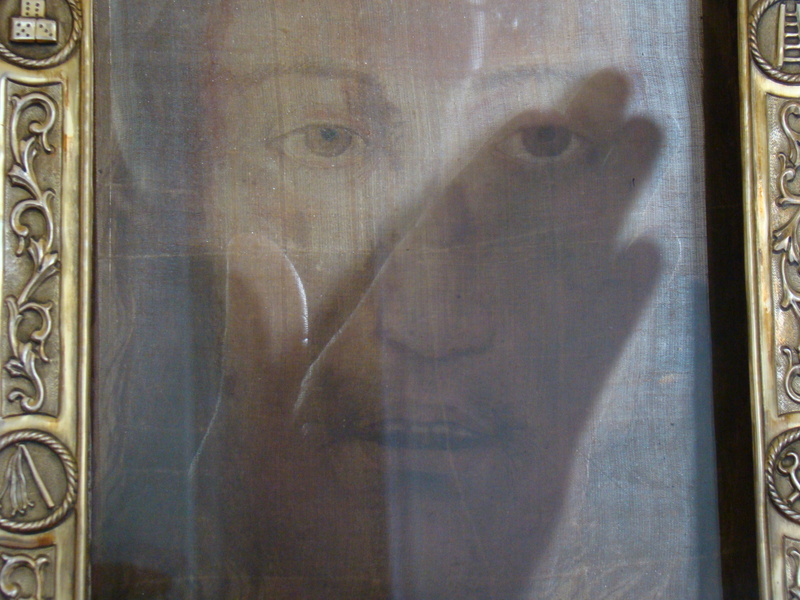 First, when Jesus shows His Face to us, He does not look at His own Face. He looks at us. Even our daily experience, when we show our face to other people, we look at them, not at ourselves. This is love: in showing my face I become someone who sees others, who hears others, who understands others, who feels for others. Showing one’s face means that I spend less time looking at my own face, my activities, my needs, my comfort or wellbeing, my interests, and instead that I devote more time to looking at the face of others, of those who suffer. 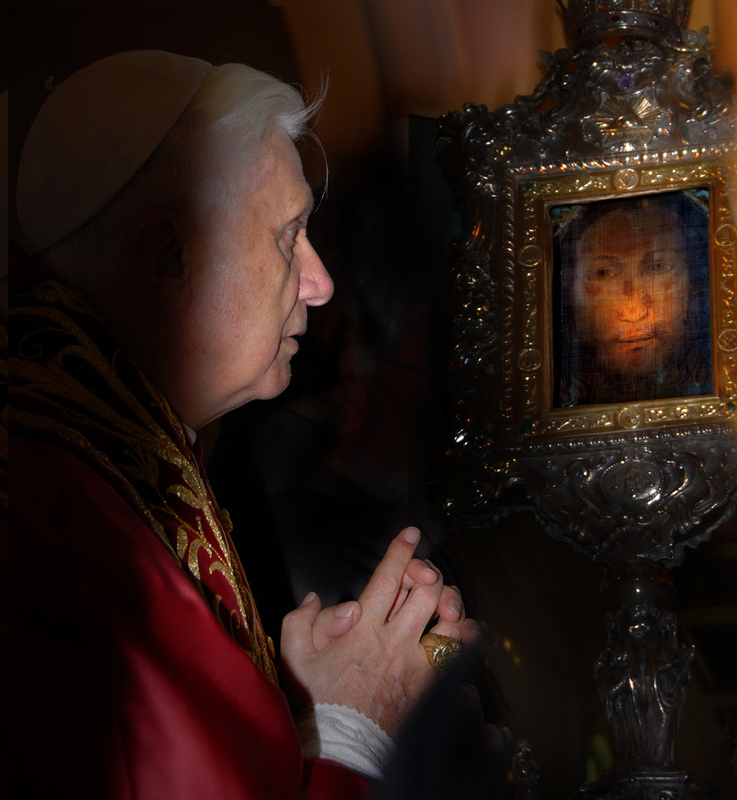 This is the love that the Holy Face of Jesus shows us. He is interested in us, He is for us, He looks at us more than He looks at Himself. 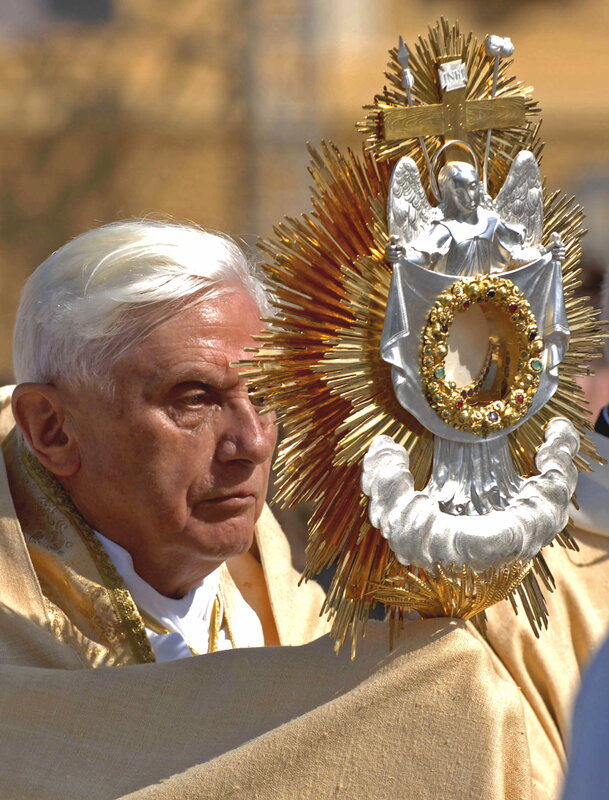 The devotees of the Holy Face must be like Him. Is our gaze directed only at ourselves, our immediate group, those closest us us or are we learning from Jesus who penetrates the hearts of others with His loving gaze? 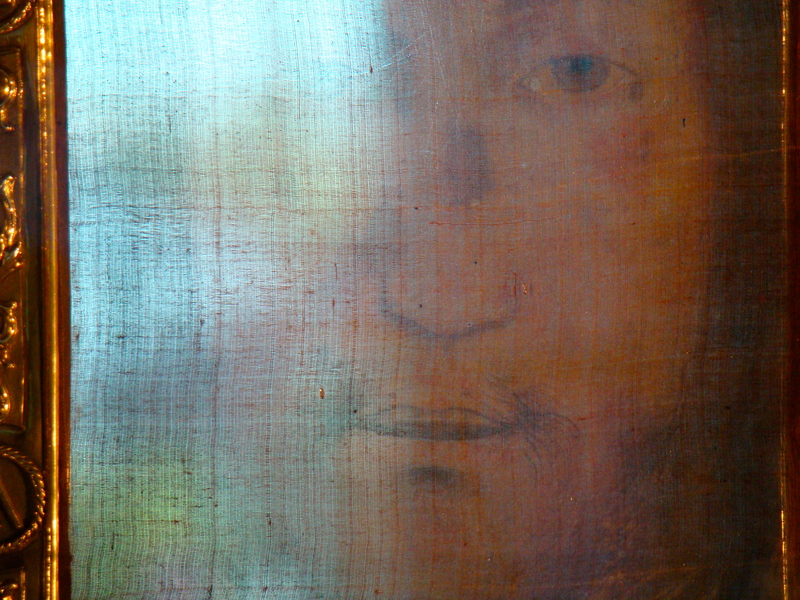 Second, the Face of Jesus, a loving and other-centered face is also a face that speaks. Even when our lips do not utter “audible” words, our face can speak “visible” words. He said in the Gospel, “If you love Me, you will keep My Commandments.” His Face is not only seen but heard. 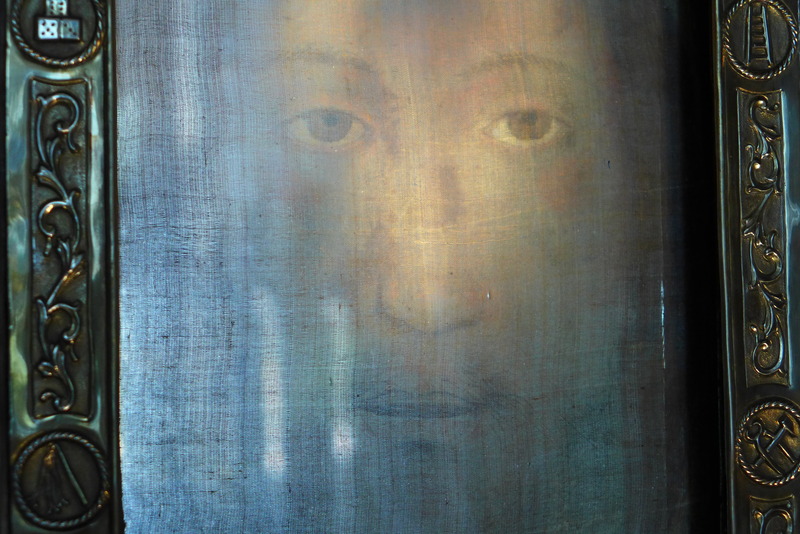 Jesus’ Face is the human face of the Word of God, now heard and seen especially in His Commandments. In our time, people look at rules as something negative. But the Commandments of the Lord are not burdens to make our life more difficult, not tools to destroy our freedom, not mechanisms of condemnation of our weak and fragile persona. His Commandments are paths to peace, liberty and forgiveness. In Jesus’ Face we see the person who fulfilled the commandment to love God above all and one’s neighbor as oneself. His Commandments are visible in Him who told us, “Come to Me…Take My yoke upon your shoulders and learn from Me for I am gentle and humble in heart, and you will find rest for your souls. My yoke, in Face, is easy and My burden light” (Matthew 11:28-30). 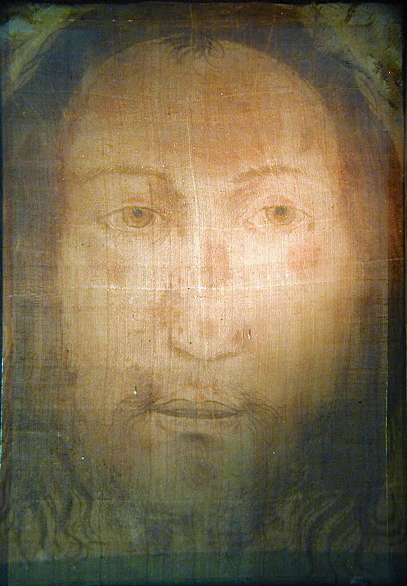 The devotees of the Holy Face are called to listen attentively to Jesus who is the visible Word of peace, of freedom, of forgiveness and of love. Finally, what we have seen and heard, we must share with others. In the first reading, Philip proclaimed in Samaria the Jesus that he had seen and heard. His preaching was accompanied by visible signs of healing and liberation. The Face of Jesus was seen and heard in Philip’s testimony. In the second reading, Peter tells those who are undergoing trials and persecution to be ready to give an explanation to anyone who asks for a reason for the hope that is in them. The answer is simple: Jesus! He is our sure hope. His love for us and triumph over death is the reason why we have hope. But Peter reminds us to proclaim our hope with gentleness and respect, with a clear conscience and integrity of life, with readiness to suffer for doing good rather than for doing evil. In other words, we best proclaim Jesus if others see and hear Jesus in us. 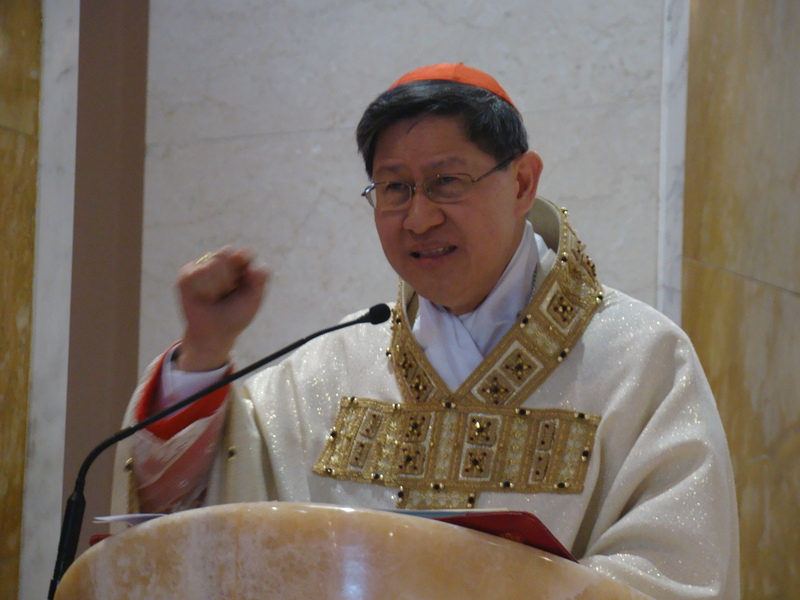 My grateful thanks to Paul Badde/EWTN for sharing his beautiful photos and to Raymond Frost for the English translation of Cardinal Tagle’s inspiring homily. 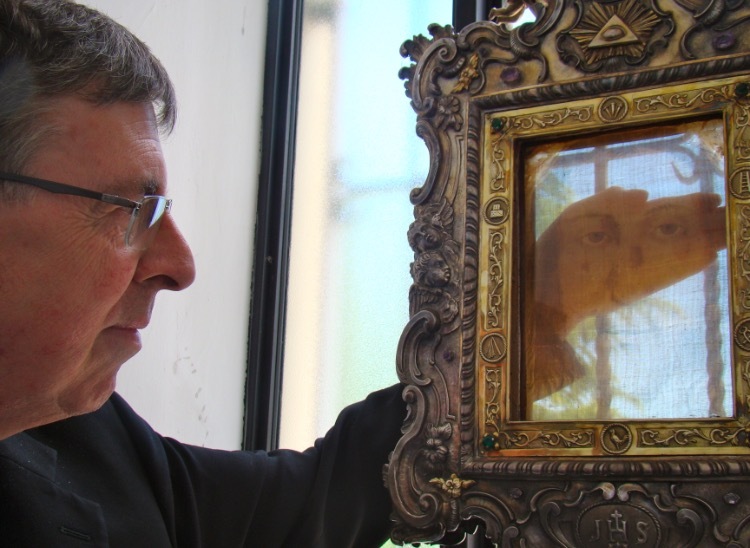 More on Cardinal Tagle’s visit to Manoppello “The Face of Truth” by Antonio Bini may be read (here). It was a single word that brought about the decisive split between the Eastern and Western churches. 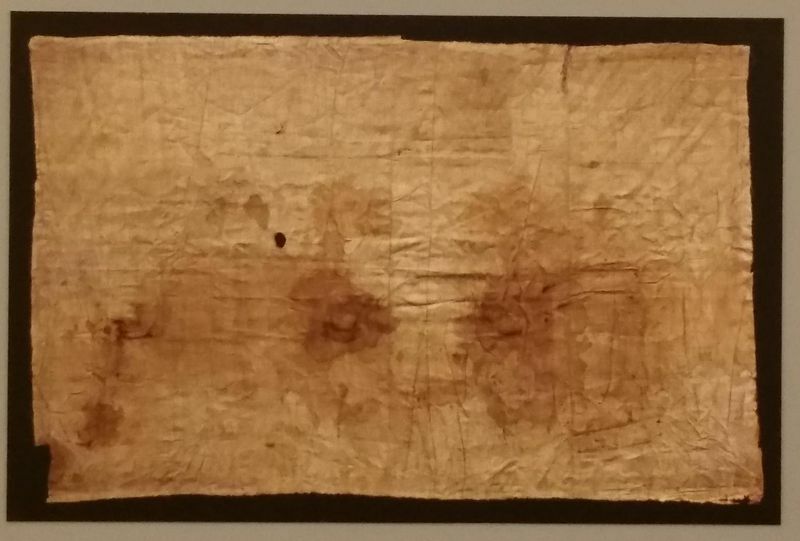 It happened in May 581, at the Council of Toledo, when the bishops of the Visigoth kingdom added the Latin word “filioque” to the then-200-year-old Catholic creed of the Council of Nicea-Constantinople. In English, the word means: “and the Son.” Ever since that day, Christians of the West pray in their creed: “We believe in the Holy Spirit, the Lord, the giver of life, who proceeds from the Father and the Son,” whereas in the Eastern Churches to this day they pray: “We believe in the Holy spirit, the Lord, the giver of life, who proceeds from the Father.” This addition first attained the rank of dogma under Pope Benedict VIII, and then again in 1215, by which time alienation between East and West had substantially increased. 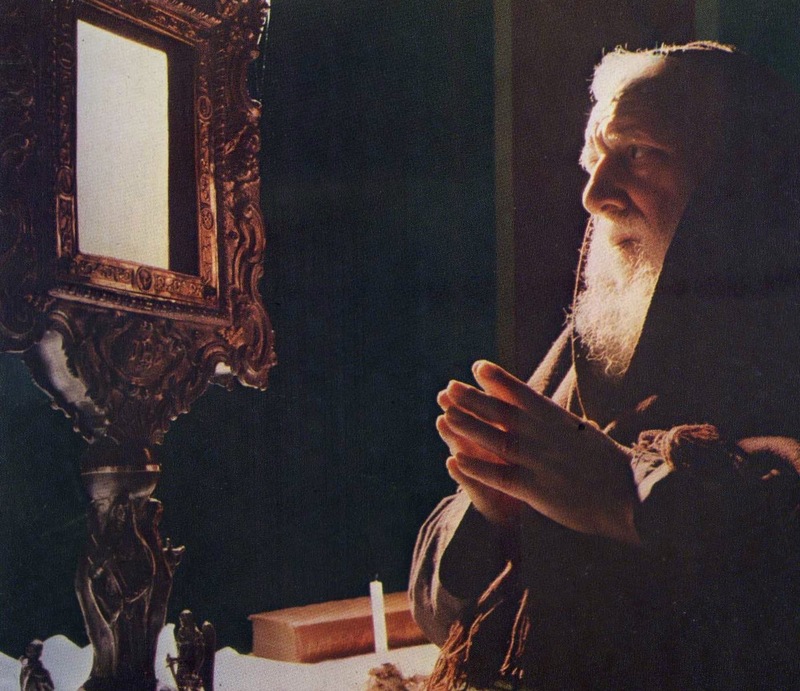 However, it was but this single word that became both a stumbling block and a milestone in the separation process between the Eastern and Western Church. Thousands upon thousands of highly erudite words only further deepened the rift and never could heal it. 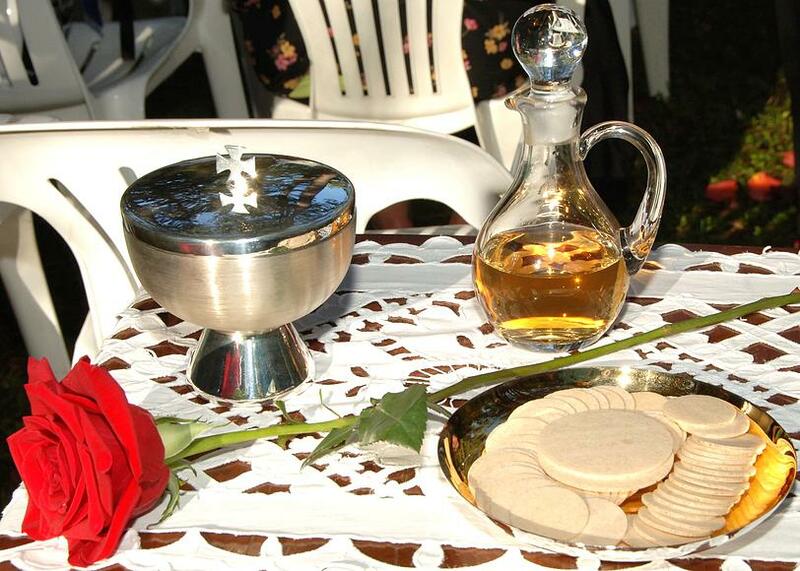 But this week, in a quiet ceremony unnoticed by most media, a single image brought the Eastern and Western Church together in way that arguably has never happened before. 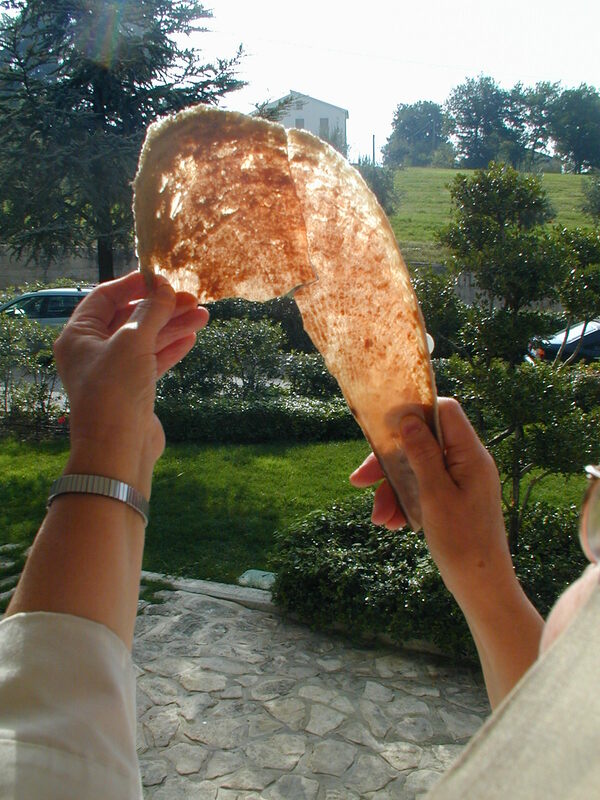 On this Sunday, Sept. 18, in the small town of Manoppello in the Abruzzi mountains, 70 Orthodox bishops celebrated, together with two cardinals and many Roman Catholic bishops and clergymen, the Divine Liturgy of St. John Chrysostom before the image of the “Holy Face.” The holy veil had been hidden for more than 300 years in a side chapel of St Michael’s Church, until, after the great earthquake of 1915, it was publicly displayed for the first time again, in the year 1923, over the main altar of a newly constructed building, where it can be visited and adored every day. There were metropolitans and bishops of the Ecumenical Patriarchate of Constantinople (from Finland, Estonia, Crete, Patmos, Malta, Great Britain, America, Australia, the Exarchate of the Philippines, from Europe and from Mount Athos) and patriarchs, metropolitans and archbishops of Alexandria, Antioch, Damascus, Jerusalem, the autonomous Church of Mount Sinai, and the Orthodox churches of Russia, Georgia, Serbia, Cyprus, Romania, Greece Poland, Albania, Czech Republic and Slovakia, which came before the Holy Face and celebrated the Eucharist. Only the Bulgarian Church had sent no representative. 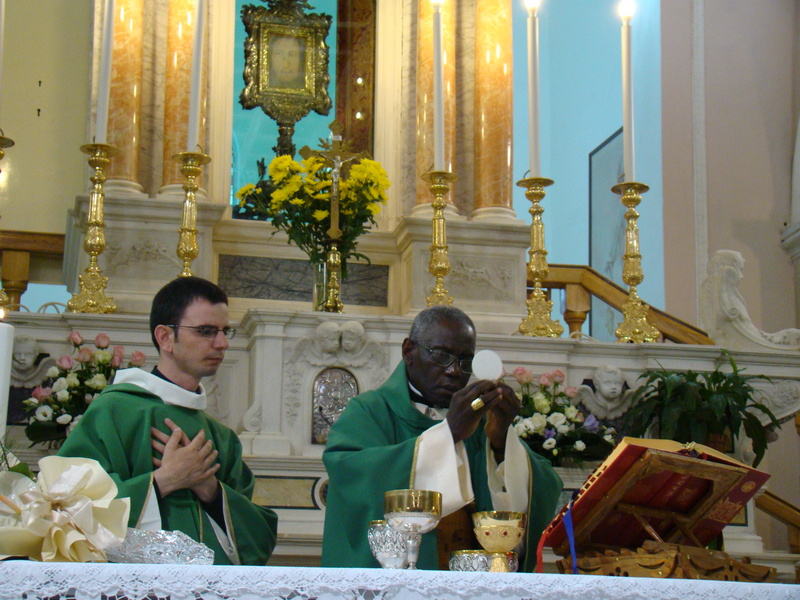 The antiphons of the liturgy were in Italian, Russian, Greek, English, Romanian and French. 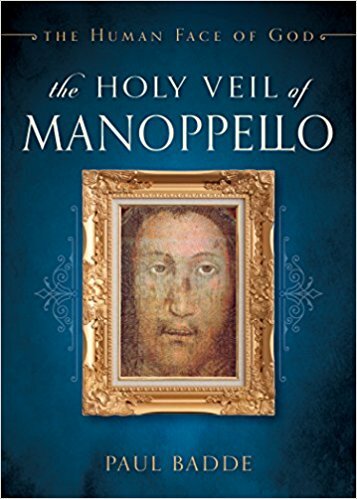 In his homily, given in English, Metropolitan Job Getcha of Telmessos, who headed the service as representative of the Ecumenical Patriarch Bartholomew of Constantinople, praised the “image of Christ, not made by human hand” of Manoppello. 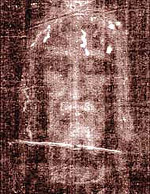 He pointed out that – according to some scholars – the Image is identical with that of the Soudarion from the Gospel of the Resurrection according to John, while another tradition holds that a certain Veronica wiped the face of Jesus with this veil on his way to the Cross, though she is not mentioned in the canonical Gospels. Archbishop Bruno Forte from nearby Chieti knows that neither bloodstains nor any residue of paint can be found in the veil. 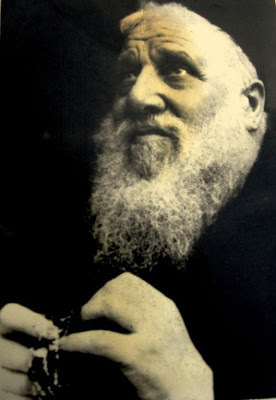 It had been his idea and initiative to bring the bishops before the face of Christ, which he likes to praise as the “North Star of Christendom.” He invited the group to Manoppello and had given the visitors a scholarly introduction on the bus trip from his diocesan town of Chieti to Manoppello. 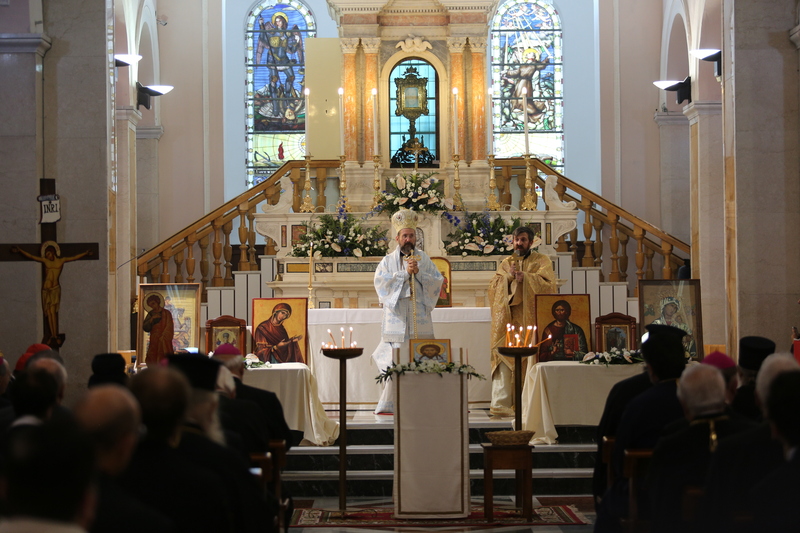 In Chieti, the pilgrims had all participated in the 14th General Assembly of a Joint International Commission for Theological Dialogue between Catholics and Orthodox. They had discussed a document entitled “Towards a common understanding of synodality and primacy in the service of the unity of the Church.” It was a debate that began in the previous plenary meeting in the Jordanian capital Amman in 2014 and was continued in 2015 in Rome. 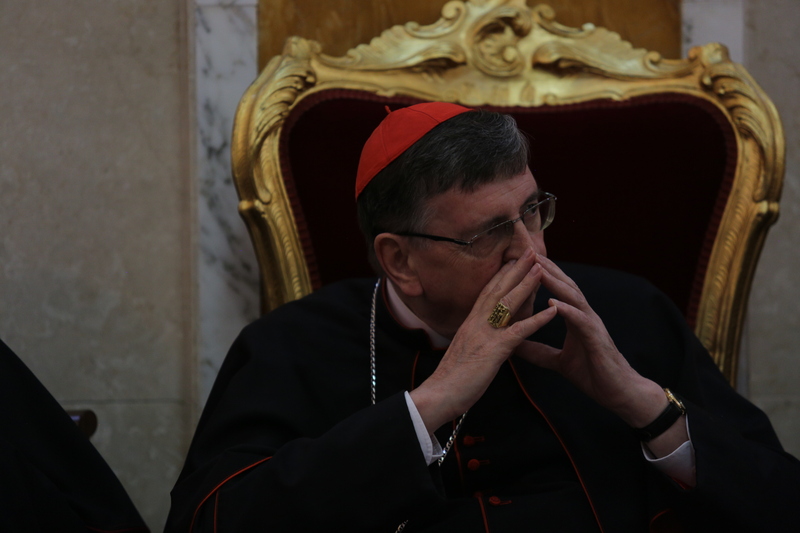 The Commission is the official organ of the theological dialogue between Catholics and Orthodox. It was founded in 1979 and unites 14 autocephalous Orthodox churches, which are each represented by two theologians who are mostly bishops, together with Catholic representatives. 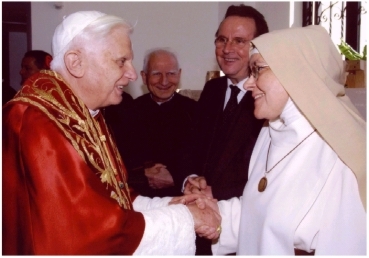 And now the same group practically traced, as a synodal pilgrimage, that first spectacular step towards the face of Christ that Benedict XVI undertook ten years ago, against much resistance, the first pope to do so after more than 400 years. And following on this path, the Divine Liturgy before the Divine Face this Sunday became a milestone of reconciliation on the way to unity. Heavy rainfall had been announced. But only a few drops ended up falling. 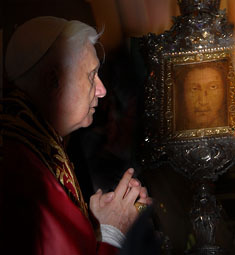 “Pray for the Christians in the Middle East as you pray before the Holy Face. 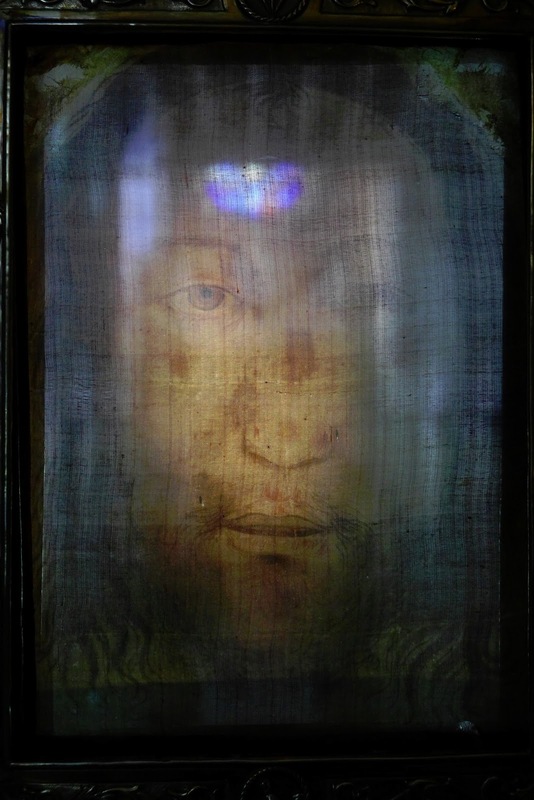 They are suffering unspeakably,” an Oriental bishop said right after the final blessing to the German sister Petra-Maria Steiner, who introduces countless pilgrims to the mystery of the light of this image in Manoppello. Earlier, at the conclusion of the celebration, Anatoliy Grytskiv, Protopresbyter of Chieti, had hailed the “miracle” of the encounter in a passionate summary in Italian. Were it so, the image of Christ would indeed have briefly bridged that abyss on this Sunday, an abyss carved out, like a primeval river, by the countless words between East and West, a Grand Canyon into the very foundation of Christianity. At those very depths, the holy “sudarium” might yet intervene, in a healing fashion, in the ancient Filioque controversy about that first word of separation. 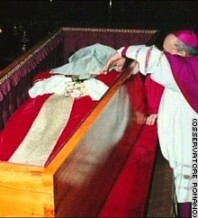 For if the veil, as John writes, was indeed lying in the grave of Christ, on the face of the Lord, it must also have absorbed the first breath of the Risen One – when the Spirit of God woke Jesus Christ from the dead – as that Spirit that is the Lord, the giver of life, who proceeds from the Father and the Son.